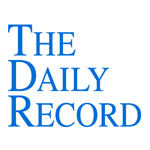 This week's Daily Record column is entitled "Real-time Web a Game Changer." You’ll have to forgive me for having online technologies, including social media, on my mind a lot lately. I’ve been speaking about social media for lawyers quite a bit in recent months and am now enmeshed in the process of writing a book with Carolyn Elefant about social media for lawyers, which will be published by the American Bar Association. As a result, I’ve spent a good deal of time mulling over how the rapidly changing world of online technology will affect the legal profession. The technologies are evolving at a rapid pace and changing the world around us on a global scale. Rest assured, our profession is not immune to the paradigm shift. Social media, cloud computing, mobile computing, real-time Web and real-time search are some of the core areas predicted to be game changers over the coming year. Lawyers cannot afford to ignore the trends and should, at the very least, make an effort to learn and understand the concepts. Two major developments were announced last week that will make one of the predicted game changing trends —real-time Web and real-time search —a more viable reality. Twitter announced agreements with Bing (Microsoft’s search engine) and Google to allow both engines full access to its data, as produced in real time. Microsoft also negotiated an agreement with Facebook that will allow Bing access to some of Facebook’s data. Of course, some of you are probably wondering: What is the real-time Web, and why should I care? Good question. [T]he concept of searching for and finding information online as it is produced. Advancements in web search technology coupled with growing use of social media enable online activities to be queried as they occur. A traditional web search crawls and indexes web pages periodically, returning results based on relevance to the search query. The real time web delivers the most popular topics recently discussed or posted by users. The content is often “soft” in that it is based on the social web —people’s opinions, attitudes, thoughts and interests —as opposed to hard news or facts. Now in its infancy, the real-time Web soon will be commonplace, and will allow instantaneous access to information on any topic or event, as soon as that information becomes available, and as the event is occurring. At first glance, that may not seem to be an earth-shattering concept, but it is a paradigm shift worthy of note. Lawyers should sit up and take notice. result of appearing in search engine results as soon as it is created. Criticisms of legal employers or law schools appearing on Twitter have become infinitely more powerful. Small businesses, including law firms, that use Twitter or Facebook as part of their marketing efforts online can strategically tweak their marketing approach on those platforms to mirror trends and topics affecting their business, and thereby appear higher in search engine results. efforts accordingly. Class action attorneys, for instance, can search for real-time complaints about a particular drug or product and predict when or where a class of injured people may exist long before their technologically deficient colleagues get wind of it. Make no mistake about it —real-time search finally is here, and it’s going to alter the way that business is done. It’s a game changer, folks. At the very least, learn about it and understand its ramifications. If you’re feeling especially daring, put it to work for your law practice. It can never hurt to stay ahead of the curve, especially when most of your competitors don’t even realize the curve exists. Who are you, Nicole Black (aka @nikiblack), and what do you do? Some of you may wonder just that--who is Nicole Black? However, more likely than not, most of you probably don't care. I realize that--and answering that question really isn't my goal here, so please excuse what appears to be extreme navel gazing. The primary purpose of this post is to clarify who I am, what I do and why. I am 39 years old, have been married for 11 years and have 2 children. I have lived in Rochester, NY for most of my adult life. I graduated from Albany Law School in 1995 and was admitted to the New York State Bar in 1996. I interned in the Monroe County Public Defender's Office appeals bureau from 1995-1996. During that time, I accomplished one of the most significant wins of my legal career: I was successful in overturning a murder conviction in the matter of People v. Sierra, 231 A.D.2d 907, 647 N.Y.S.2d 891 (4th Dep't 1996). Shortly after I argued that appeal, I was hired as an Assistant Public Defender and worked there for nearly 4 years, handling over 3000 criminal cases during that time frame. I conducted countless hearings and trials, including a number of jury trials. In 1999 I left the Public Defender's Office and was hired as an associate at Trevett, Cristo, Salzer & Andolina. I continued to handle criminal defense matters. I handled assigned counsel matters, my own retained criminal defense matters and worked with some of the partners at the firm--widely held to be some of the best criminal defense attorneys in town--on their cases. I also handled all types of civil litigation matters, ranging from personal injury litigation (plaintiff and defense), commercial litigation and built up my own employment discrimination book of practice. In 2002 my first child was born. Later that year, I was told that I was on partnership track and would likely make partner the following year. My internal reaction to the knowledge--dread--caused me to take a deep look inward. I realized that I wasn't happy. I knew that I wasn't where I wanted to be in life and if I stayed on that track, I'd most likely be stuck for good. I loved the firm and the people in it. That's not what was making me unhappy. I wasn't sure what was, but I knew that I felt like a part of me was dying--and I needed a change. So, I took a self imposed hiatus from the law in 2003 and had my second child. I returned to the law in 2005, opening up shop as a contract attorney and started my first blog--this blog. From there, things fell into place for me. As I blogged, business found me. Lawyers hired me to do work for them, and at the same time, writing and speaking opportunities were offered to me. I began to write a weekly column for the Daily Record and was offered the opportunity to co-author the West Thomson treatise Criminal Law in New York. And, in early 2007, Ed Fiandach approached me to do work for his office, a well-recognized DWI defense firm. After I'd handled a few projects for him, he asked if I would consider becoming of counsel with the firm and handle appeals (including appellate arguments) and memos to the court for their office. I happily agreed, with the understanding that I could continue my writing and blogging. I wanted to be able to continue to express myself without reservation. Ed agreed and also advised me that if I ever wanted to make court appearances, including hearings and trials, that option was available to me as well. I declined, since I knew that if I did so, I would lose the flexibility for which I had worked so hard. I continue to handle projects for the firm. The demand for my assistance with projects varies to this day, depending on any number of factors: the economy, demand within the office, the number of appeals filed by the DA's office, and my own schedule. Just last month I declined a few projects due to a number of writing deadlines that I was facing. While criminal defense has always been one of my primary passions, I've found another since re-entering the legal field in 2005: a fascination with the intersection of law and technology. I regularly write, blog and speak about this topic. Earlier this year, I founded lawtechTalk, which is the vehicle through which I seek to empower and encourage lawyers to accept change and technological advancement by bringing them the most up-to-date information through personal consultations, speaking engagements, and online presentations. I continue to speak regularly about the intersection of law and technology and am in the process of writing a book about social media for lawyers, which I am fortunate to be co-authoring with Carolyn Elefant. 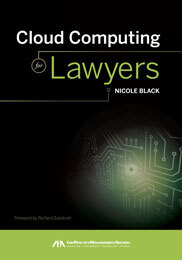 (Update: the book is now published, "Social Media for Lawyers: The Next Frontier" and my newest book "Cloud Computing for Lawyers" will be published by the ABA in the spring of 2011). I find the balance between my various endeavors to be perfect. I no longer experience a sense of dread when I think about where my professional career is leading me. I feel passion every day for the issues that occupy my thoughts as a result of my chosen career path. As I re-read the previous paragraph, I realize just how lucky I am. Each day is an adventure--and one that I welcome. You can't get much better than that now, can you? This week's Daily Record column is entitled "Law schools failing their clientele." Law schools need an attitude adjustment. Their current educational platform is a near total failure and provides graduates with little, if any, practical knowledge. The current system teaches students how to “think like lawyers,” but essentially ignores the obligation to teach them how to actually practice law. It is rooted in an archaic mindset that looks backward rather than forward. Most law schools’ curricula tend to ignore the realities of the business world and discourage students from using emerging technologies. Surprisingly, the incorporation and acceptance of emerging technologies, including social media, actually is discouraged in many cases. In recent months, I’ve had many discussions with law students and recent graduates about this issue. Inevitably, whenever I speak with recent law school graduates they express a nearly universal feeling of being completely unprepared to practice law. Many express consternation with their plight. Even attorneys who have been practicing law for a number of years as associates feel unprepared to venture out on their own. One associate in a firm who has been practicing law for more than two years, had aspirations to start his own criminal defense practice, but indicated he felt he lacked the experience to do so. His reluctance and anxiety are particularly disturbing given that,according to a recent study, nearly 80 percent of lawyers either are solos or practice in small firms. Most law schools ignore that reality and prepare students for the miniscule possibility they will spend their careers toiling away in Big Law. As a result, future lawyers and practicing lawyers are virtually unanimous in their criticism of the current curricula and the teaching methods used. When I asked my followers on Twitter for their opinions on theissue, most said they believe law schools simply are failing to prepare students for the realities of law practice. Overall, the consensus is that the current system is broken. Until law schools drastically revise current curricula and their attitude toward change, the legal profession will suffer. Law schools need to radically alter the current philosophy in order to serve the needs of their clientele —the future leaders of our profession. The failure to do so will be felt for years to come. This week's Daily Record column is entitled "Still more social media for lawyers: Participate!"